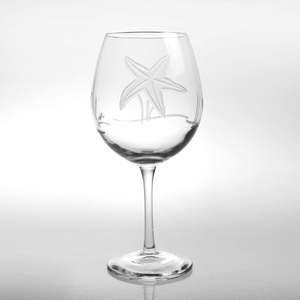 Symbolic of tenacity and resilience, Starfish Glass brings the inspiration of the shore into your every day. Each piece in the Starfish glassware collection has subtle differences that unite the collection without mimicking the exact same design. Made from excellent quality glass. Diamond-wheel engraved, this unique glassware makes a wonderful gift for both men and women alike.